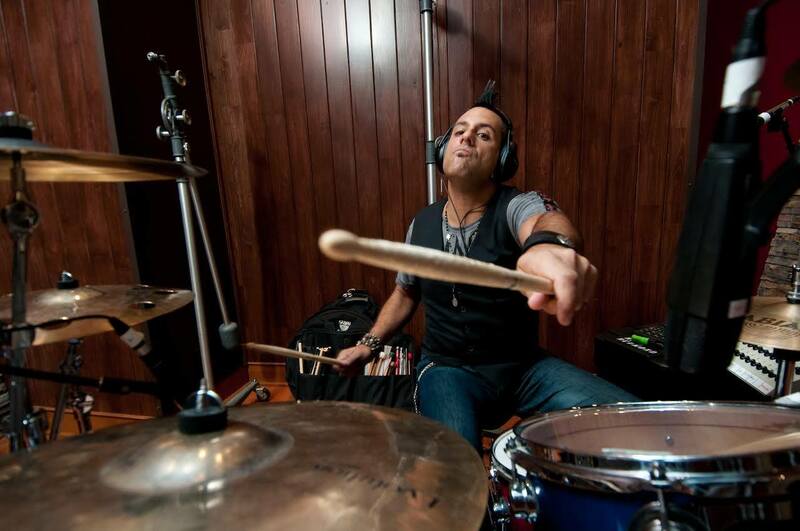 You may never meet someone with as much energy and passion as Rich Redmond. He will entertain,motivate and inspire you with his gift of music. If you do meet Rich, fasten your seatbelt and prepareto have some fun. While he’s not in the studio or on tour Rich is motivating others with his “CRASH Course for Success” or producing other artist’s music with his partners at New Voice Entertainment. Jason Aldean, Ludacris, Kelly Clarkson, Bryan Adams, Bob Seger, Joe Perry, Jewel, Miranda Lambert, Luke Bryan, Thompson Square, Steel Magnolia, The Pointer Sisters, John Eddie, Pam Tillis, Susan Ashton, Deana Carter, Montgomery Gentry, Alabama, John Anderson, Trace Adkins, Keith Urban, Emily West, Lauren Alaina, and many others. Rich has played drums and percussion on 19 #1 singles with sales well over the 20 million mark. As a high-energy live showman, Rich plays sold out shows of 20-65,000 fans nightly in amphitheaters, arenas and stadiums across the world. Rich has appeared on the trail of television shows such as The Voice, American Idol, The Grammy Awards, The Tonight Show (with Leno, O’Brien and Fallon), The Today Show, Conan O' Brien, Jimmy Kimmel, Craig Ferguson, Good Morning America, Ellen, The CMA Awards, ACM Awards, CMT Awards, ACA Awards, as well as being prominently featured in 18 music popular music videos Rich also leads a production team known as 'NV' (New Voice Entertainment), which is constantly developing new talent such as Thompson Square, and Parmalee. Together these acts have celebrated 3 #1 hits. Always looking to help others and make a difference, Rich brings his "CRASH Course For Success" motivational drumming event to drum shops, music stores, high schools, colleges and corporate events across the world. Some of Rich’s clients include Cisco, Johnson and Johnson, Presidio, Hard Rock Café and many others. Rich has presented at The Percussive Arts Society Convention in 2011 and 2013. Rich began playing drums at age 8 and eventually played in the prestigious 1:00 Lab Band at The University of North Texas. Receiving his Master's Degree in Music Education, Rich now combines his classical training and 'street smarts' musicianship to bring his passion filled drumming to the world. Rich was voted “Best Country Drummer” and “Clinician” by both Modern Drummer and Drum! Magazines. Rich has also been featured in Drumhead and Rhythm magazines. Rich’s first book, “FUNdamentals of Drumming For Kids ages 5-10” is published by Modern Drummer and is an Amazon best seller. As a new actor, Rich has a role in the horror film “Reawakened” which is currently in production. Rich is also partners in a consulting firm called GPR Creative, which assists companies in front end development and creative solutions for business. In anticipation of Rich Redmond’s performance with Jason Aldean on Friday, July 24th at The California Mid State Fair in Paso Robles, Calif. we conducted an E-Mail interview with Mr. Redmond. Rich Redmond: I started playing drums at 7 years old. My parents were very supportive. I grew up playing music in the schools and eventually studied music at the renowned University of North Texas. In 1997, I moved to Nashville to pursue those “next level” gigs. CentralCoastRocks.com: Was there a certain event or personality that persuaded you in your youth to pursue the Music Business? Rich Redmond: The Police’s Synchronicity and Van Halen’s 1984 were very inspirational records. This was the birth of MTV and that is the time period when I decided to make music my life. CentralCoastRocks.com: As well as being an influential Touring & Recording Drummer you have many other projects that keep you busy, tell us about them, most notably your Crash Course for Success motivational & educational events. Rich Redmond: My “CRASH Course For Success” is a high energy, educational and motivational event presented in an entertaining style. Storytelling is common theme and questions are encouraged! My "CRASH Course For Success" covers the mental, musical and business skills necessary for success in the game of life. I also cover concepts such as: Rich's journey in the music business Positive Mental Attitude Attitude-Behavior-Consequence Passion-Determination-Persistence Playing-Personality-People Skills Goal Setting and the Pursuit of Dreams The Virtues of Teamwork Professionalism Basic Business Concepts I present the course at music stores, drum shops, school events and business gatherings for Fortune 500 Companies such as Cisco and Johnson and Johnson. CentralCoastRocks.com: Your style of drumming is very exciting and visual in that anyone who has seen you perform knows that you are as much a part of the show as the frontman. Who influenced your style of drumming as well as your on stage performing? Rich Redmond: Well thanks so much. I like to give the audience a show. I loved drummers like Gene Krupa, Carmine Appice, Stewart Copeland, Alex Van Halen, Ringo Starr, John Bonham, Keith Moon, Charlie Watts and many others. CentralCoastRocks.com: You have had the pleasure of sharing the stages & recording studios of the world with some of the biggest names in the music business from Kelly Clarkson, Bryan Adams, Ludacris, Miranda Lambert to Eric Church and of course Jason Aldean. Of all the live shows you have performed, do any 1 or 2 stand out for you personally ? Rich Redmond: It’s very special to have been able to play sold out shows at iconic venues like Madison Square Garden, The Hollywood Bowl, Wrigley Field, Fenway Park and many others. I’m very grateful. CentralCoastRocks.com: As a songwriter, you are signed to a publishing deal with hip indie music publisher Magic Mustang. You have a vast array of co-writers and your songs vary in musical style. Tell us about your songwriting process and when and how inspiration strikes you. 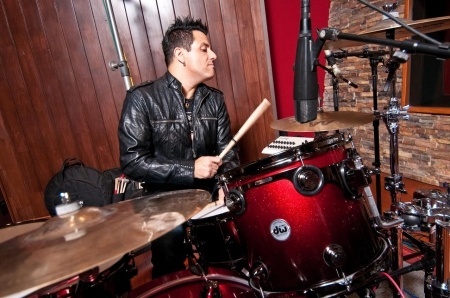 Rich Redmond: I am very fortunate to have wonderful relationships with great songwriters like Kevin Kadish (“All about that bass”), Jake Scherer (front man for rock band New Medicine), grammy winner Rebecca Lynne Howard and Americans rocker John Eddie, among others. Country rap rocker Colt Ford recorded and released one of our songs called “Crank It Up” and popular Aussie band The Wolfe Brothers had two number ones with my songs. Inspiration can come from a title, idea or a conversation. Rich Redmond: I would focus on being excellent at one thing and also be open to multi- tasking and developing multiple skill sets like playing an instrument, songwriting and production. CentralCoastRocks.com: You last played the California Mid State Fair with Jason Aldean in 2011, I remember what a fun show that was. 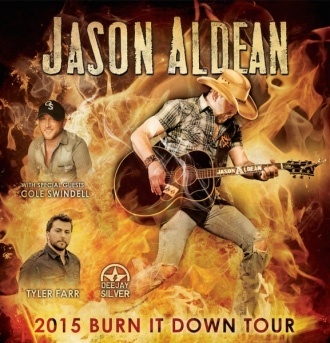 You will be back at The Mid State Fair July 24th with Jason on the Burn It Down tour, what can fans expect from the show this time around? Rich Redmond: There will be the same back to back collection of hits presented in a high energy format! CentralCoastRocks.com: You are of course touring behind Jason’s latest CD Old Boots New Dirt, what are some of your favorite tracks off the CD? Rich Redmond: I celebrate them all. Its wonderful to play with an artist that records such quality songs that have depth and feel! CentralCoastRocks.com: Your plans for the rest of the year as well as any other projects you would like to mention? 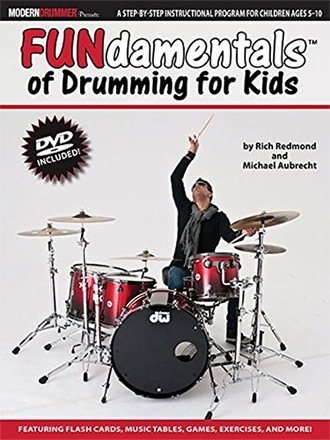 Rich Redmond: I wrote a book called “FUNdamentals of Drumming For Kids” which is published by Modern Drummer magazine and distributed by Hal Leonard Corporation. It is an Amazon best seller and is available in physical and digital form. It’s great for kids, but anyone can learn how to play the drums using my FUNdamental philosophy. I also will have a double disc DVD/electronic download educational product available at Christmas called “Drumming In The Modern World”. My production company, New Voice Entertainment is producing the sophomore record for country rockers Parmalee. Also look for my acting debut in a horror film called “Reawakened” which should be released in 2016. Along the way, I will be recording for other artists on Music Row in Nashville as well as from my own CRASH Studios. Rich Redmond: Thanks so much for always coming to support live music and for digging what I do. It’s nice to have the support and to be appreciated. Music is my life. Special Thanks to Rich Redmond !